Jetset Magazine was one of the lucky media invited by Napa Valley Vintners Association to cover the 2012 Auction Napa Valley and all the wine maker dinners organized before the auction on Thursday and Friday. 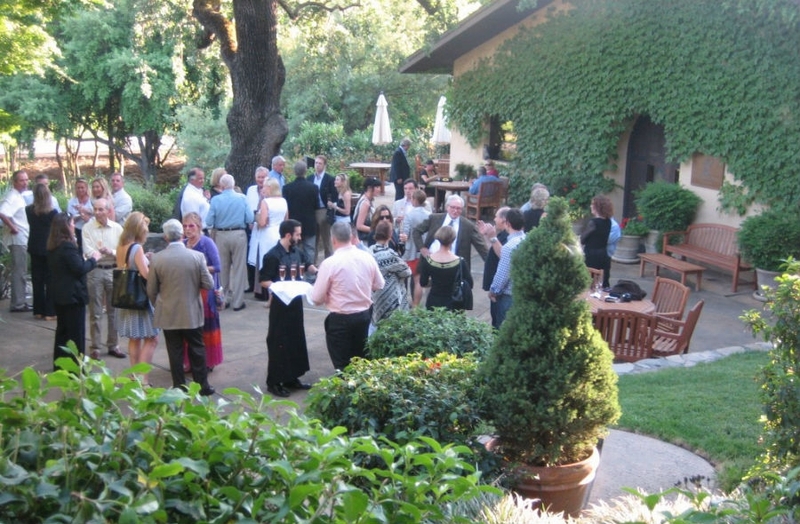 Stag’s Leap Wine Cellars welcomed a lucky group of 50 bidders to the property on May 31st to experience the breathtaking beauty of the estate while enjoying their iconic wines at their Auction Napa Valley Hospitality Dinner. 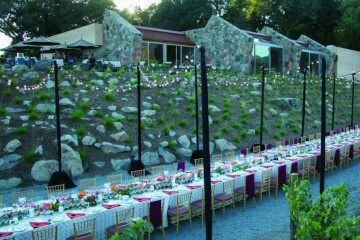 “The Ultimate Estate Experience” event was a progressive dinner where attendees enjoyed food and wine in four different settings on the stunning Stag’s Leap Wine Cellars property. Celebrated Chef Mark Dommen of San Francisco’s One Market Restaurant created signature dishes such as Wild California King Salmon (raw, cured, slow cooked, crispy ski with chilled pea soup) with the ARCADIA VINEYARD Chardonnay and Short Ribs with 1998 and 2008 S.L.V. Estate Cabernet Sauvignon. 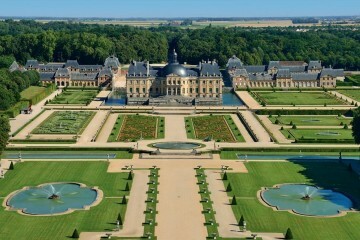 His modern take on American cuisine earned the restaurant a Michelin star for the 5th year in a row in the 2012 Guide. Winemaker Nicki Pruss and General Manager Steve Spadarotto mingled with the attendees throughout the evening’s feast. Nicki Pruss dug deep into the cellar to select a 1999 CASK 23 from 6-Liter to pair with the cheese course.